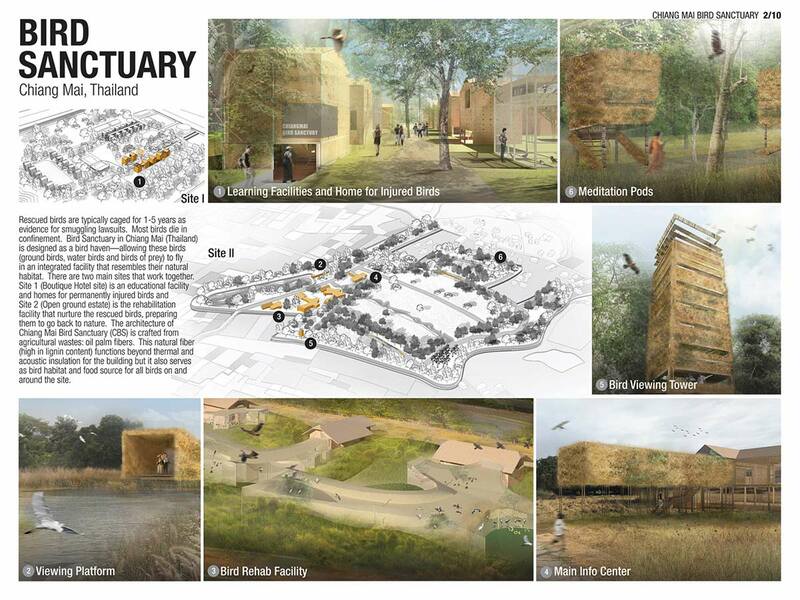 Bird Sanctuary Wins Holcim Asia Pacific – architectkidd co. ltd.
March 7, 2015: “Protective Wing“, our project for a bird sanctuary in Chiang Mai, has received top honors in the 2014 regional Holcim Awards for Asia Pacific, an award recognizing the most innovative and advanced sustainable construction designs. 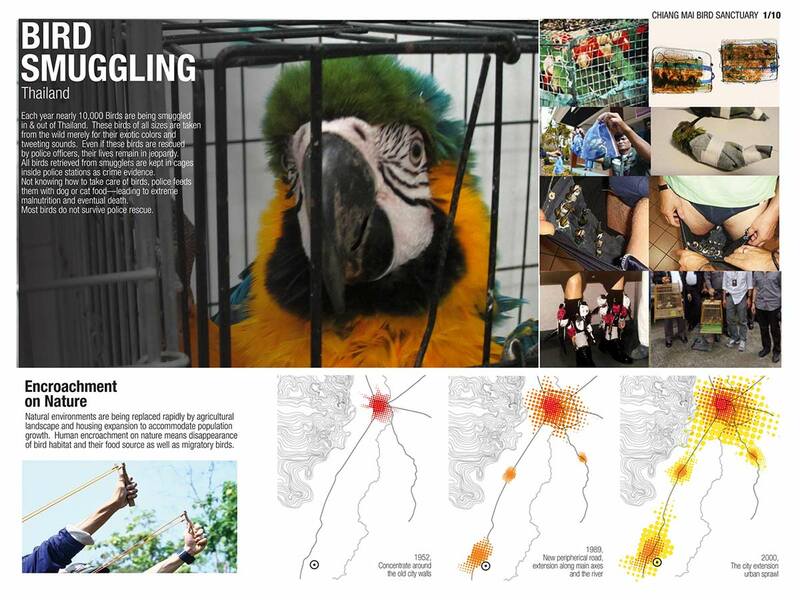 Each year, thousands of birds are smuggled in and out of Thailand, to be sold on the world’s growing black market. 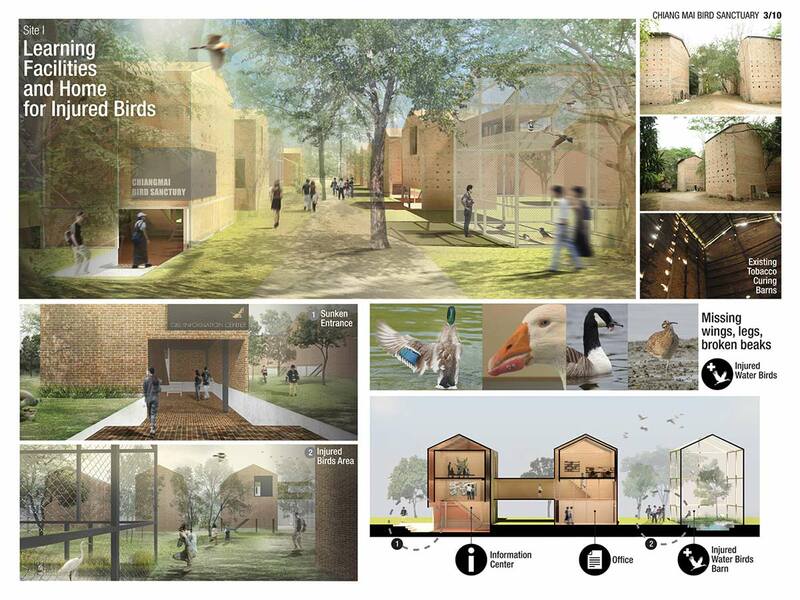 Rescued birds usually die in confinement because they are retained in cages for up to five years as evidence during prosecution of smugglers. 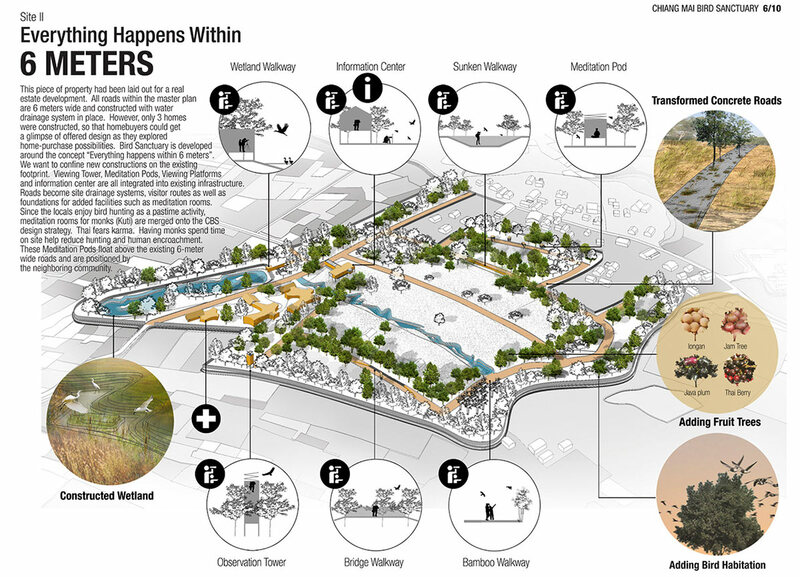 The design calls for an educational facility and a bird rehabilitation center including a small hotel and bird viewing tower, in a site that simulates the natural habitat. 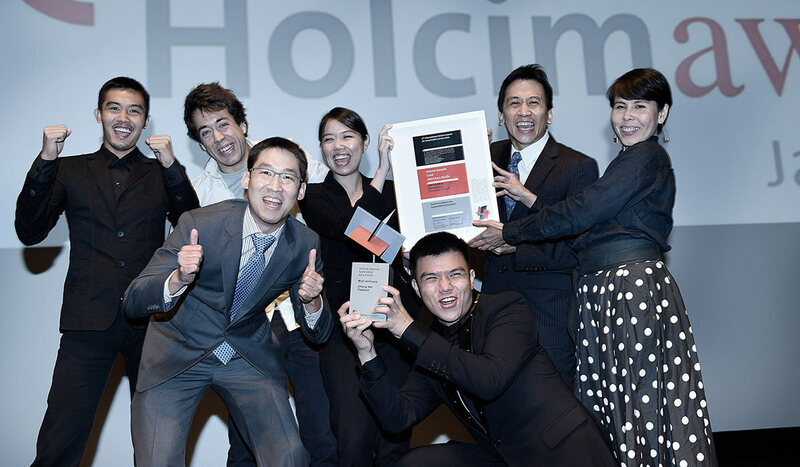 The Holcim Asia Pacific regional awards mark the conclusion of the Holcim Awards 2014 competition. 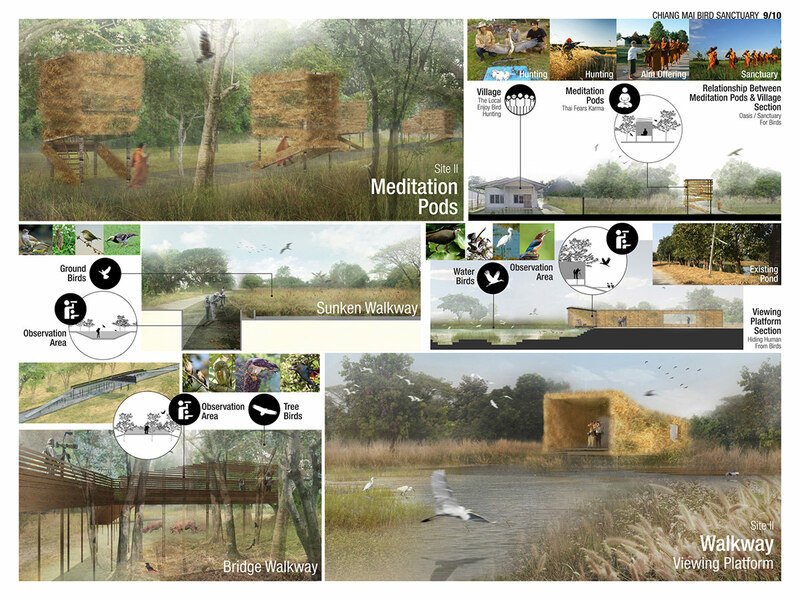 Following the winning designs for Europe, North America, Latin America, and Africa Middle East, 13 projects from nine countries in the Asia Pacific region were awarded in November 2014 in Jakarta, Indonesia.